enough forward to get a good lunge and the key is to keep your low back straight while bending the left knee forward. The stretch is in the right mid/upper thigh and groin area. Remember to DO THIS STRETCH GENTLY AT FIRST as this is one of the biggest muscle groups in your body and make sure you’ve been doing activity before doing this one because it’s easy to over stretch it and aggravate it until your body is used to the stretch. 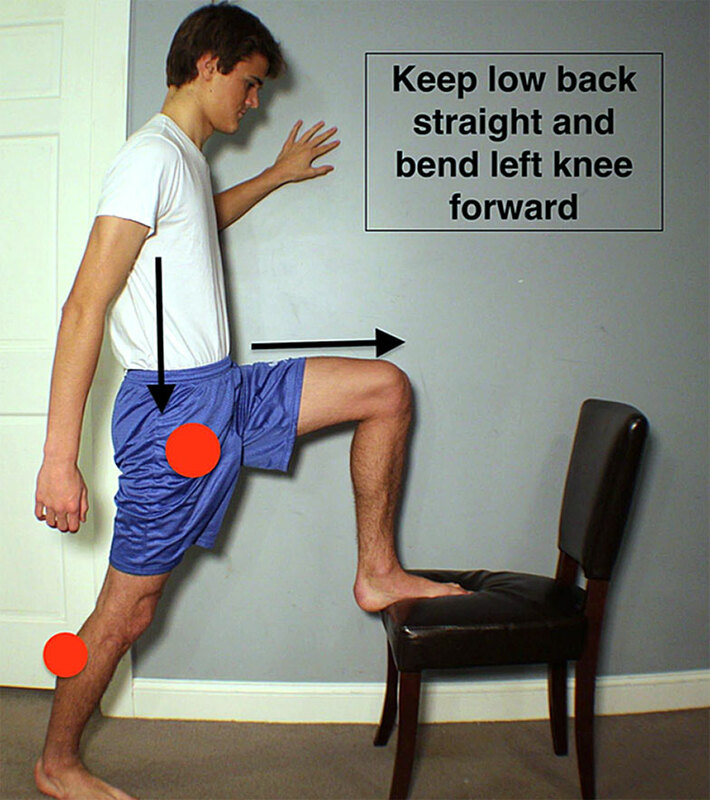 IF YOU HAVE ONGOING KNEE PROBLEMS THE STANDING VERSION IS BETTER. STANDING: If balance is an issue for you make sure you are holding one hand on the wall or railing if doing it on the stairs. 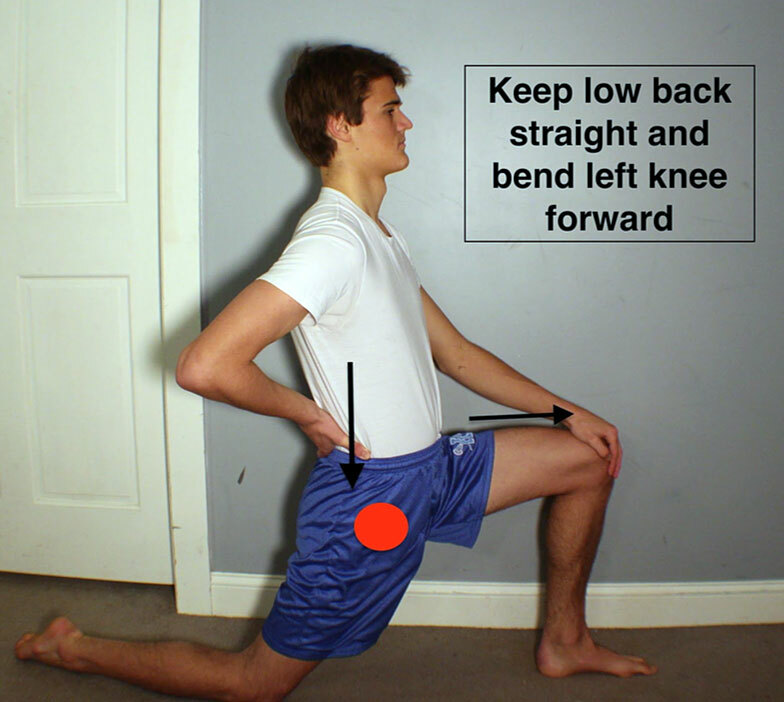 Make sure the standing leg is far enough back to feel an adequate stretch in right hip flexor area when you go to lunge forward with the left knee. The standing version is good to do at work or even off of a park bench if stopping for a break on a walk. The added advantage is that this version will also stretch your calf muscle.